Moving in October? 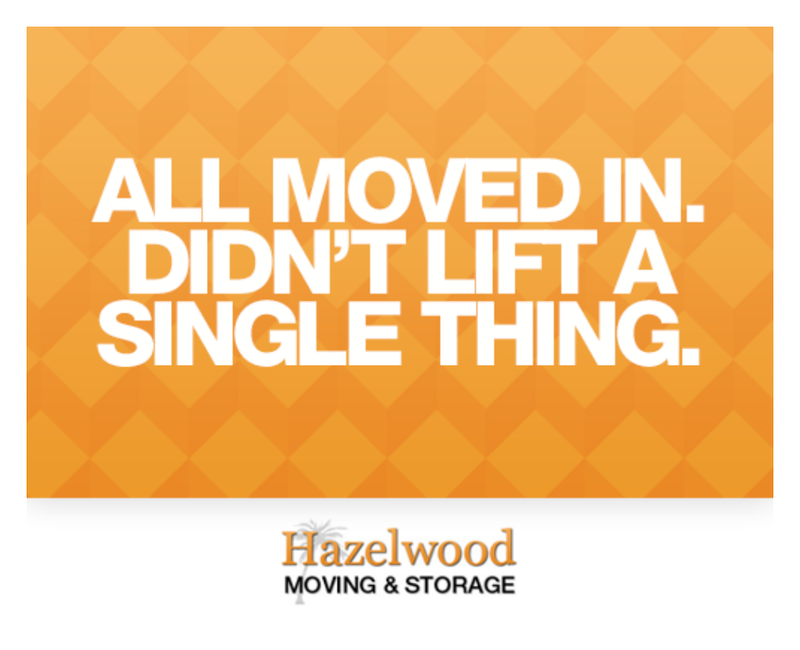 Hazelwood Allied Can Help! It’s October. Time for pumpkins, candy corn and costumes. Since Halloween is October 31st, the last day of the month, for many families, it can also be moving day. If you happen to be moving on or near Halloween it can be tough on the kids who still want to dress up, collect treats and celebrate. But, no need to skip out on the fun. 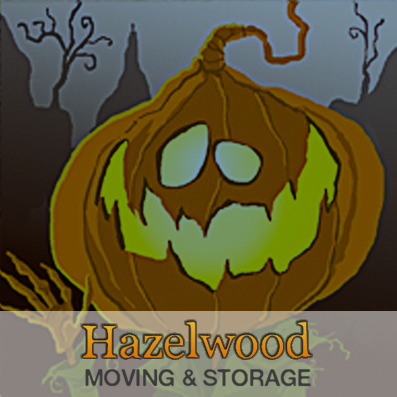 With a little advance planning and help from Hazelwood Allied Moving and Storage, your family can still enjoy a fun and relaxing Halloween. Halloween is the perfect holiday to meet new neighbors. There’s no better opportunity to walk around a new neighborhood whether you’ve relocated locally or across the country. Use the chance to introduce yourself and let families know you’ve just moved in. Since your new home might be in disarray from the move, keep decorations light. No need to go all out to be festive. Just a few festive items hung on the front door will let the neighborhood know your open for trick-or-treating business. If kids costumes are packed or otherwise unavailable, you can easily fashion costumes from the boxes you unpacked earlier in the day and a few other simple supplies. LEGO: Tape or glue 6 plastic cups upside down to the side of a box. Spray paint it a primary color and add some shoulder straps. You can cut the flaps off the box or tape them up to keep it sturdy. iPHONE: Draw or paint a phone screen on the front of a box. Kids can even help with this. Let them add their favorite apps. Cut holes for arms and head or attach shoulder straps and you’re done! CHEST OF DRAWERS: Use your move as inspiration. Draw or paint a box to look like a piece of your own furniture. Cut arm and head holes and the kids are all set. Moving on any holiday is stressful so let Hazelwood Allied take care of everything for you so you can enjoy your little ghouls. Q: I’m downsizing to a smaller living situation in the Santa Barbara area. What can I do with items I don’t need right now but am not ready to part with? A: We offer a variety of sizes of boxes to pack your items in as well as storage options. We offer long-term and short-term storage including vault storage and self-storage. Q: I’ve been transferred out of town by my company. How quickly can I move? A: You can get started right away planning your move. Our nationwide movers are available by phone Monday through Saturday. Once your move is underway, you can even track your shipment to your new destination. Dia de los Muertos: This is a free family event at the Santa Barbara Museum of Art honoring the Mexican tradition of remembering the dead. Enjoy a wide variety of activities including music, art and dance. October 23rd, 1-4pm. Thriller 2016: October 29th at 3pm come and be thrilled at the Santa Barbara Courthouse Sunken Gardens as World Dance Zombies rise up and perform Michael Jackson’s Thriller dance. This is part of the Thrill the World global event. 5th Annual VooDoo Lounge Halloween Dance Party: This Halloween party includes a full bar, photo booth and costume contest. Get your tickets in advance for this October 29th party. 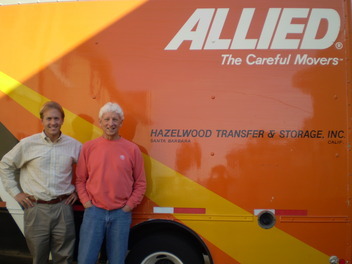 From all of us at Hazelwood Allied, thank you for making us your preferred moving consultants.